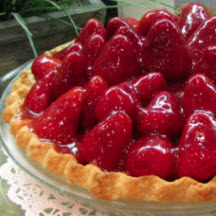 CooksRecipes has quality, kitchen-tested recipes for a large variety of strawberry pies that you can count on for successful deliciousness. The ultimate taste of spring is found in this pie! 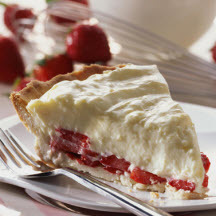 You can count on receiving compliments from appreciative guests for this fresh strawberry pie. 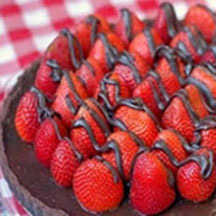 Strawberry laced sweetened cream cheese in an chocolate cookie crust, topped with fresh strawberries drizzled with melted semisweet chocolate.